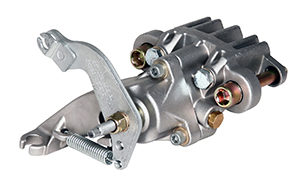 Wilwood's HM series Hydra-Mechanical calipers are the perfect rear caliper for utilty vehicles. HM calipers offer options of both left-hand and right-hand units, with piston sizing of either 1.00" or 1.19. 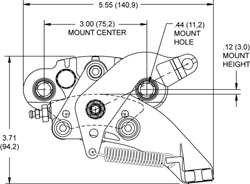 HM calipers utilizes a cost effective die cast construction with advanced design and manufacturing techniques which results in a rigid, lightweight and durable caliper.